The Cooler Master MasterBox Lite 3 is a budget friendly, quiet case that can fit all of our components. It offers decent cable management, which can sometimes be a problem at our budget, and there's room to expand with hard drives or a solid state drive. It also has 2 front panel USB 3.0 ports and a 5.25" bay for our optical drive. Cases tend to be highly personal choices, so make sure you browse our listed cases to see what suits you. Instead of a 5.25" drive, you can get a slim, external drive like this. It's only $8.00 more expensive than the Memorex one, but allows for better part flexibility, like the change to the Cooler Master Elite 110. The change to the i3-6100 and the slim, external ODD also allows for a 1TB hard drive. It can always be omitted, as PCs are not '1 size fits all'. A PCIe Wi-Fi adapter can also be added with the savings*, or the ASRock motherboard can be swapped for one with onboard 802.11ac Wi-Fi. Would it be better to go with this motherboard or a ac1300 pcie wifi card? No, but you can't anyway, due to the lack of a PCIe x1 slot on the motherboard. If you swapped to a Micro-ATX board, I would suggest Asus's AC56 or AC68. This is not a smart build at all. You made a PC that is lower performance and more expensive. The power supply is complete overkill there is no way this pc will be able to draw more than 200 watts. I think his decision for the hard drive is good or even overkill I think an ssd is the best bet so for the ssd go for a 240 or 480gb. Most people using a pc like this will not store much on it. Probably just their pictures and a couple programs. The motherboard is way too high end even for a mini tix gaming build. Yes, I did. This is an office PC, and in most cases a user will never need 4 physical cores. The i3 is also much cheaper, and similar performance wise to the i5. What do you mean? My more expensive list is $55 cheaper than the build guide. The power supply is complete overkill there is no way this pc will be able to draw more than 200 watts. It's really not. You should never skimp on a power supply, first of all, and second, nobody really makes power supplies rated below 430 watts anymore. It may only draw 200 watts, but I've chosen a good budget power supply. It just so happens to be rated at 450 watts. The motherboard is way too high end even for a mini tix gaming build. 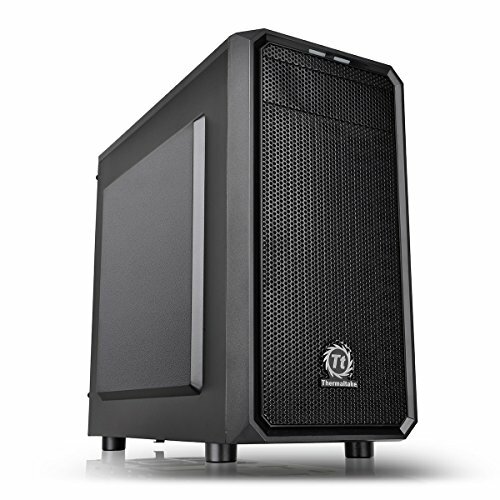 I think swapping the i5-6400/H110 for a Pentium G4560 and a B250 would make this a more budget build still capable of doing home/office work. Wouldn't 2x4 Gb memory make more sense vs 1x8Gb. I've been told this makes a significant difference if using built in graphics. should be able to just pair it with a gtx 1060 and should be ok. The i5 build not the i3 build they are talking about. for this price range you can get a decent starting pc. check this out. its a decent build. im pretty sure someone with a bit more experience then i can tweek it a bit but its not bad. That motherboard is a terrible pair with a kaby-lake cpu, as you would need a skylake prior to using the kaby-lake cpu. Will this play arma3 and bf1 with no lag?? Switch to the CX450 (if I remember the name correctly?) and Toshiba have a brilliant value 2TB HDD which will save money. Switch from Team Elite ram to a slightly cheaper option. You might be able to save a slight bit on the motherboard too, or could switch up to a 4 ram slot motherboard. One of the newer intel cores such as thew G3600 or one of the other i5's are better value for money. No, your CPU severly bottlenecks your GPU. I agree with dropping to an i3 for a home office PC as that is more than enough processing-power for using an office suite and browsing. If this build is for a home office, then the PC will not be moved around, and the modem is probably sitting on the desk next to the PC. Not a really tough task to use a 3-foot Ethernet cable to hook it up. Wifi is really not needed here. Finally, I would probably dump the SSD. You only notice it once at day when you boot-up. Other times, not so much. It is faster, but I think of this as a nice to have. That drops the cost to roughly $380 which is really nice. Saving documents, uploading, downloading, are all parts of daily office work and are all dramatically sped up by using an SSD. Yes, the quick boot times are nice to have but getting an SSD is well worth its money.